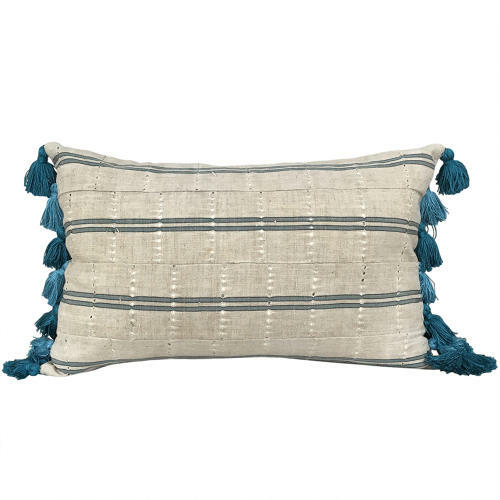 These cushions are made from a vintage Yoruba Aso Oke with a grey/blue stripe running down the strips. I've made them into cushions with hand made banana yarn tassels at the sides in 2 tones of teal. The silk tassels contrast beautifully with the rather industrial looking Aso Oke. There are zip closures an feather pads.